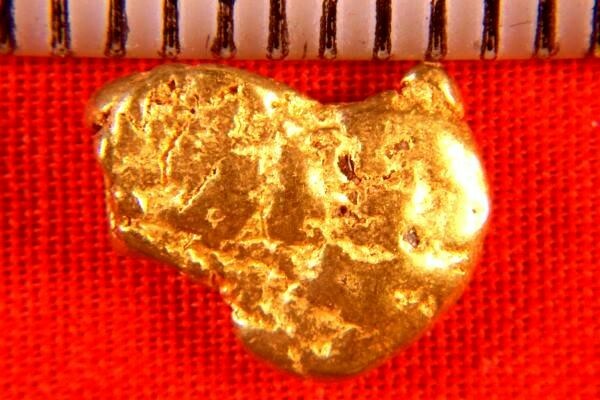 This beautifully shaped Gold Nugget comes from prospecting in the Gold Country Region of California. It weighs in at 38.5 Grains (2.49 Grams). From the historic gold fields of California, it is 1/2" (12 mm) long. It has great color, a classic shape, and an even feel. 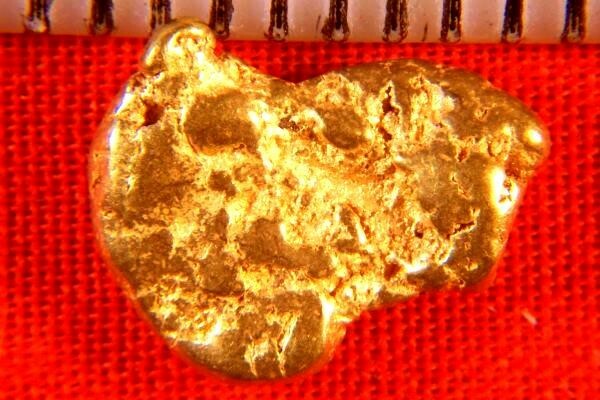 This California Gold Nugget makes a great investment and is beautiful to look at.